As is always the case with every Apple event, there's really no way we can know what the company will announce at the Apple Worldwide Developers Conference keynote next Monday, June 11. Apple is set to show off its latest mobile operating system next week, iOS 6. According to reports, Apple will focus primarily on major improvements to apps, while most functions of iOS will remain unchanged. iPad 3 owners will be happy to know that Siri is expected to launch on their devices with the release of iOS 6. 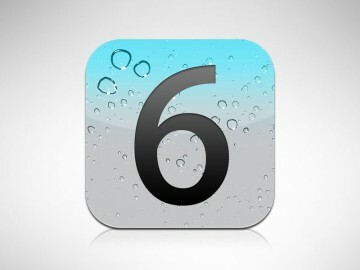 So what does iOS 6 have in store for the rest of us? Perhaps to dovetail with expected iPhone 5 camera improvements, Apple will make significant changes to iOS 6 default Camera and Photos apps. Not only will videos synchronize with iCloud, but photo sharing and social networking functionality will be added to the apps. Apple will also add Facebook sharing functions directly into the apps for easy posting to friends. Notifications will feature a simple toggle to indicate the iOS user does not want to be bothered. This is different from silencing the device or entering Airplane Mode. A do not disturb switch could hide all incoming notifications and cut off sounds until a later time, after the user switches the mode off to catch up. System-wide Facebook integration was rumored in previous versions of iOS, but now the addition is confirmed for iOS 6. Apple has made a deal with Facebook to add the social networking service to iOS much like Twitter came to us in iOS 5. Expect similar functionality, with Facebook features starting small and ramping up over time. Believe it or not, Apple is ditching Google Maps with iOS 6 and replacing the Maps app with its own mapping software developed in-house. These maps include fully 3D renderings of places and may even include turn-by-turn navigation instructions. The new Maps is certain to be a major focus of Apple's demos at WWDC next week. Several Mail app improvements are coming your way. Most notable is an iCloud-synced list of VIPs that would screen your email automatically. Messages coming from a VIP will be starred so they can be easily found among other incoming mail. The App Store, iBookstore and iTunes Stores will all get redesigns. Besides Facebook integration coming to the iTunes Store, other social features will accomodate content sharing and interaction across the board. The new designs are also intended to improve the purchasing experience, and are expected to land on Apple's Mac OS X stores after the iOS 6 launch. Mobile Safari web browsing will get more convenient, with an iCloud Tabs button provided on iOS 6 devices. Clicking the button will sync your browser tabs to iCloud, so they can be picked up later on another mobile device or a Mac OS X computer. Also, Safari will get an all-in-one search/address bar just like Chrome. Pretty handy. Apple is always working to make Siri better, but there have been sporadic reports that the company plans to allow third-party app developers to interact with Siri's servers. This could provide a whole new take on what makes Siri useful with new apps across the board. Although this feature is not certain, we can be sure Apple will improve Siri beyond simply letting iPad 3 owners in on the fun.